Living so close to the beach means that the Clower family can indulge in surfing, scuba diving or fishing whenever they want. For Rebecca and Keith Clower, and their two young children ages three and five, their house by the beach isn’t just an address…it’s a lifestyle. 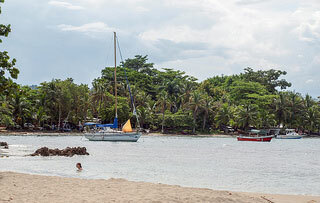 They recently built a home in a development on the Bahia de Los Piratas, or Pirate’s Bay, on Costa Rica’s northern Pacific coast, also known as the Gold Coast. They live on a hill, with an ocean-view, and you can see clear to Playa Flamingo and Playa Conchal, two nearby expat enclaves. The beach is mere minutes away on foot. And the family, who’ve lived in Costa Rica for seven years and work in real estate and property management, takes full advantage by spending a lot of time on the sand and in the water. They surf several times a week. On the weekends they head to a nearby protected cove for stand up paddle-boarding, which features an extra-long and wide surfboard that you propel with a long paddle. “I prefer surfing, but stand up paddle boarding is fun, too. It’s more relaxed and good for people of all ages,” says Becky. Living so close to the beach means they can indulge in these activities whenever they want. And the couple is passing on the love of the beach and being in the water to their kids. “They love to swim. Both learned by two and a half,” says Becky. Of course, it’s not always about being active; sometimes they just relax. “We’ll go down to Pirate’s Beach for sunset. There’s a small hotel and restaurant. Lots of kids— they play in the tide pools,” says Becky. All in all the Clowers feel it’s living in Costa Rica that made it possible to spend that time with family and doing all the activities they want to do. Even though they lived in Tampa, Florida before moving down, they were inland—and working a lot. And Becky maintains that anyone can live the life of their dreams, too. “People don’t realize they can do the same thing we’ve done. Sure it takes some planning. But you just have to pull the trigger,” says Becky. Editor’s Note: Learn more about Costa Rica and other countries in our daily postcard e-letter. 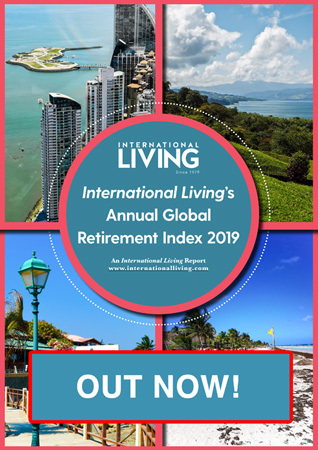 Sign up for IL’s free daily postcard here and we’ll send you a FREE REPORT – Why Are Americans Still Flocking to Costa Rica.